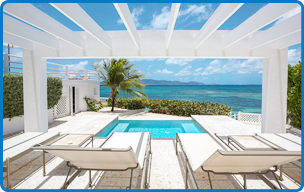 Anguilla is surrounded by several small offshore Cays that are great to venture to for a day trip and BBQ lunch. Most notably of these are Prickly Pear & Sandy Island – each have their own beach restaurants, great snorkeling and unspoiled beaches. A trip to one or both of these islands, together with some cruising to a few of the Islands more remote bays, makes for a great activity day during your stay. The small island of Scilly Cay in Anguilla's Island Harbour also makes for a great afternoon with world famous Lobster, Crayfish, chicken combos and rum punches! Several operators offer scuba diving on reefs and wrecks close to the shores of Anguilla. There are also a number of great snorkeling spots on the island, including world famous Little Bay. 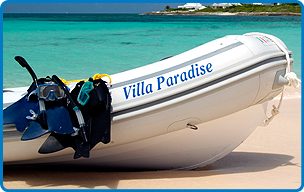 We have an assortment of Snorkeling Equipment which you can use during your stay. The Anguilla Sailing Association offers instructional sailing courses for both Adults and Children. During the winter months, there are regularly scheduled group classes. Their boats can also be rented for you own personal use at Sandy Ground Bay. Your concierge can provide more information and arrange for you. We work with several local fisherman who offer deep sea fishing and bottom fishing excursions – normally ½ day or if you're up for it, a full day! The success rate is quite high with a wide range of fish caught frequently including Snapper, Tuna, Wahu, Mahi Mahi, & Kingfish. 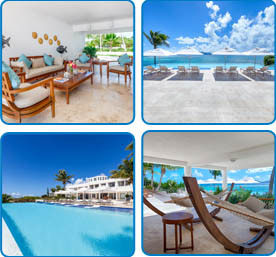 Anguilla is known for being able to offer some of the best culinary experiences this side of the globe. There is a wonderful collection of restaurants with several of them along with many beach bars offer music (live on certain days & nights) which are quite special in that they truly cater to both locals and tourists alike – a very laid back and relaxed atmosphere prevails at these night spots making them great for all age groups. Your concierge can arrange for a wide range of Spa, Yoga & Massage services at the villas. We can also help arrange a morning or afternoon at one of the islands great full service spa facilities located within one of the islands 5 star resorts. We work together with a number of professionals who not only provide basic child care and babysitting services, but also can help organize activities for your children at the villa and around the island. We work closely with the Anguilla Tennis Academy (Just 5 minutes away) should you wish to arrange for lessons or if you need a partner with whom to play. Your villa concierge will provide more information. 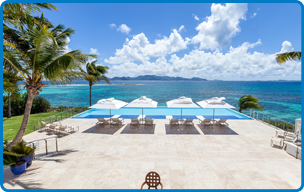 The Cuisinart Greg Norman 18 hole Championship course is a great and challenging island course with fantastic views. Your villa concierge will on hand to arrange tee times. Several Operators offer horseback riding on the beaches of Anguilla. Both main operators are focused primarily on beginner and recreational riding. We recommend Sea Side Stables. We will be happy to arrange bike rentals and tours. There are many great "off-road" trails very close to the villa. For those looking for a bit of history and culture, a set of historic landmarks and nature sights have been marked and organized as a tour around the island. Your concierge can help arrange a guided or unguided tour of these landmarks. While there are a few shops and boutiques on the Island, those looking for more "serious" shopping can take a day trip to St. Martin (by Boat or Ferry) and/or St. Barths (by Plane or weather permitting by Boat). Both of the islands have a world class assortment of shops, with St. Martin best known for its duty free Jewelry and Watch shops and St. Barths for its high end luxury boutique collection.